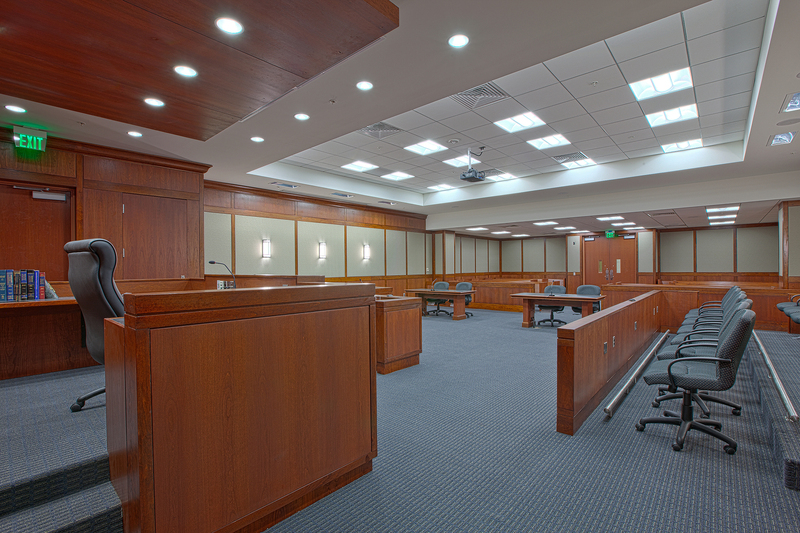 JMT Architecture completed study and design services for the 327,000SF Baltimore County Courts Building. 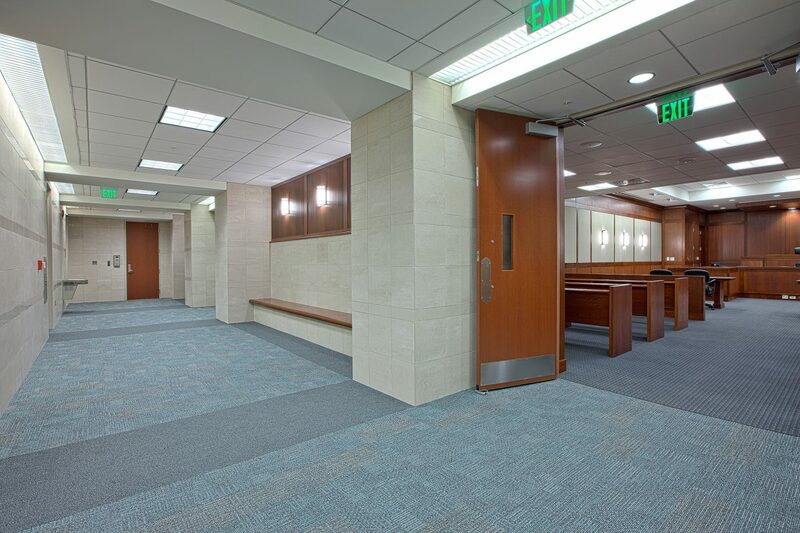 Services provided were programming, space planning, systemic renovation, and construction administration for a new internal reconfiguration of all department offices and spaces within the facility. 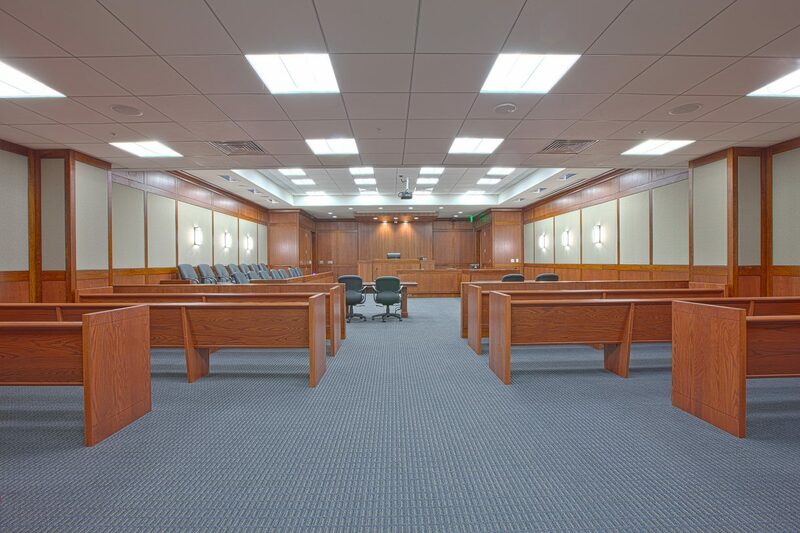 Departments included all courtrooms, Sheriff’s offices and operations, administration spaces, and all secured non-public areas. 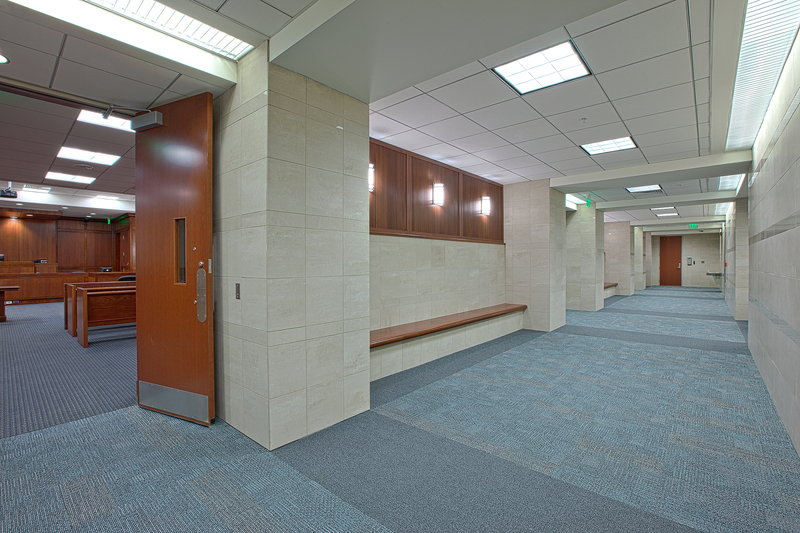 The project received an “Award of Excellence” from the Associated Builders and Contractors.